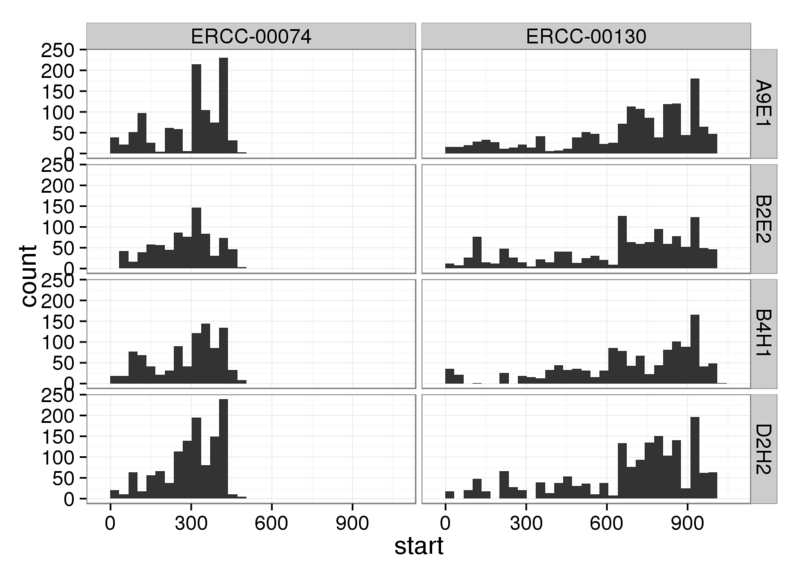 For the LCLs sequenced in an entire lane, some of the ERCC genes have greater than 1024 molecules. Investigating to see what is causing this. 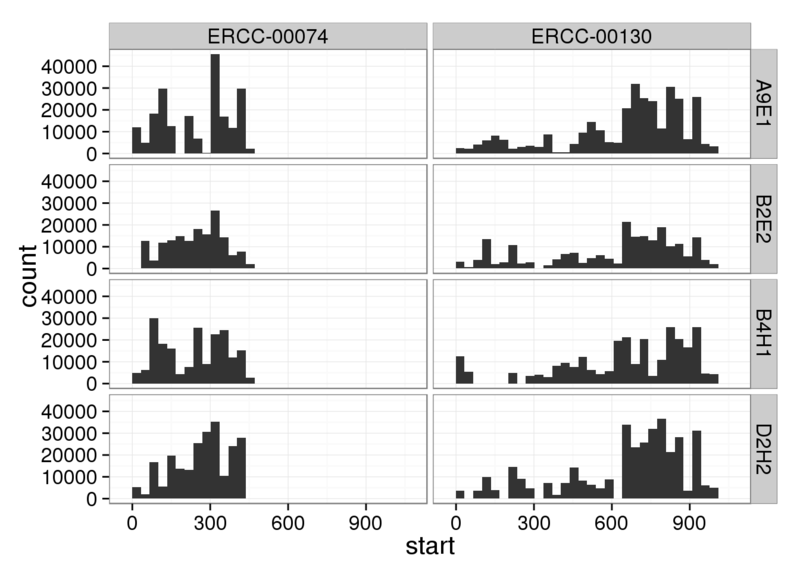 Select the ERCC genes which have greater than 1024 molecule counts in any of the four full lane samples.